Medications that are used to treat pain can sometimes be addictive. Living with an addiction has never been easy. The bad news is that today a number of pain medication addictions with over the counter are laced with substances that make people addictive to it. However, addiction is different from being physically dependent on the medication in that, when the substance is stopped withdrawal symptoms occur whereas in case of addition, it is the behavioral response to the use of pain medication that is of greater concern. People taking drugs in the opioids class for a considerable stretch of time develop addiction to them along with tolerance and physical dependence. This also means the real addiction is seen in only a few cases rather than everyone depending on the drug abuse. In general, addiction to narcotic drugs is specific to that person’s environmental and body conditions. There are a wide range of addictive pain medications that have effects similar to addiction causing substances like morphine and opium. They include Fetanyl, Codeine, Hydrocodone, Hydromorphone and Oxycodone. People who are at risk to these addiction causing pain medications are the ones who have been addicted to certain drugs in the past or those who have a family member addicted to narcotics. 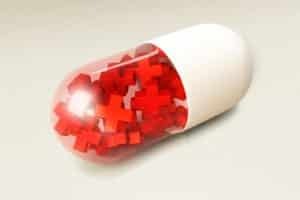 There are ways to get rid of ones addiction to these medications. However, the main key lies in taking the medication as prescribed by the physician and not overdose on it. And if there is any personal or family history of addiction, it is important that the potential addict share these details with the doctor. The doctor needs this information to confirm that the medication will work for long-term and doesn’t cause adverse effects. Also, fear of addiction should not prevent the patient from taking the prescribed medication routinely. Many clinics offer free or low-cost addiction recovery programs and services at their locations. Although some events may be restricted to people who are undergoing treatment for the same, most are open to all. Note that it is common to develop tolerance to pain after taking higher doses of pain relief. If this effect becomes troubling, time to see the doctor immediately. In addition to the programs and help groups, there are preventive approaches to facing addiction. For example, one of the treatment options for opioid addiction is methadone maintenance. The process involves administering methadone under supervised setting. It is made to stay in the system without producing high but long enough to repulse the need of heroin. No one should face addiction alone. Addiction means higher medical costs because of the increased risk of many diseases including diabetes, heart failure and other chronic ailments. No one says that coming out of pain medication addiction is easy, but many people find that choosing an addiction recovery program speeds the process. These programs are highly rated and frequently offered for free. All it takes is knowing where to find such programs, flexibility, willingness to join and a free spirit to take a chance on something useful and expected.